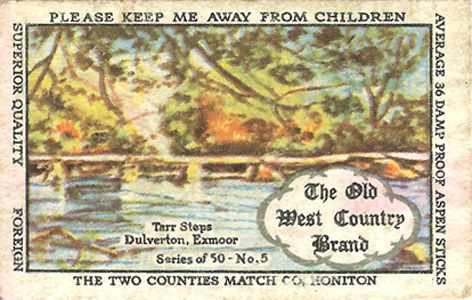 The Old West Country series were issued by the Two Counties Match Company starting in 1963. 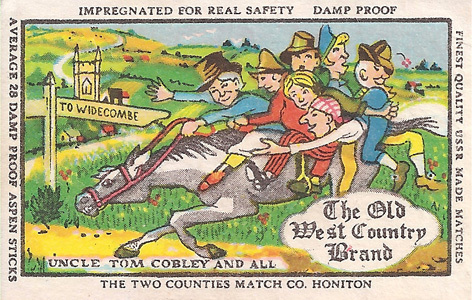 They are related to Old Cornish Mine because of the similar designs and also because Souvenir Packets were produced containing Old West Country and Old Cornish Mine boxes in dozen and gross packets. 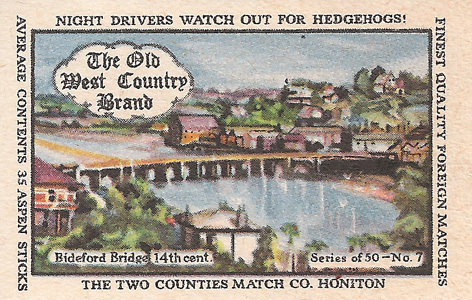 A sticky-back base label was produced for Two Counties Match Company, illustrated below. 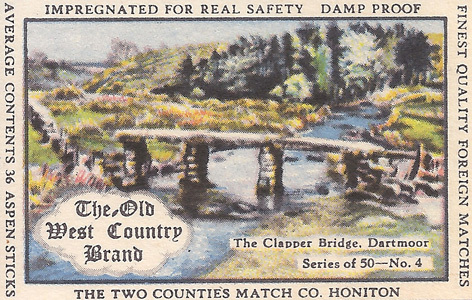 These illustrations appeared on regular size, dozen, gross and mantelpiece size labels.